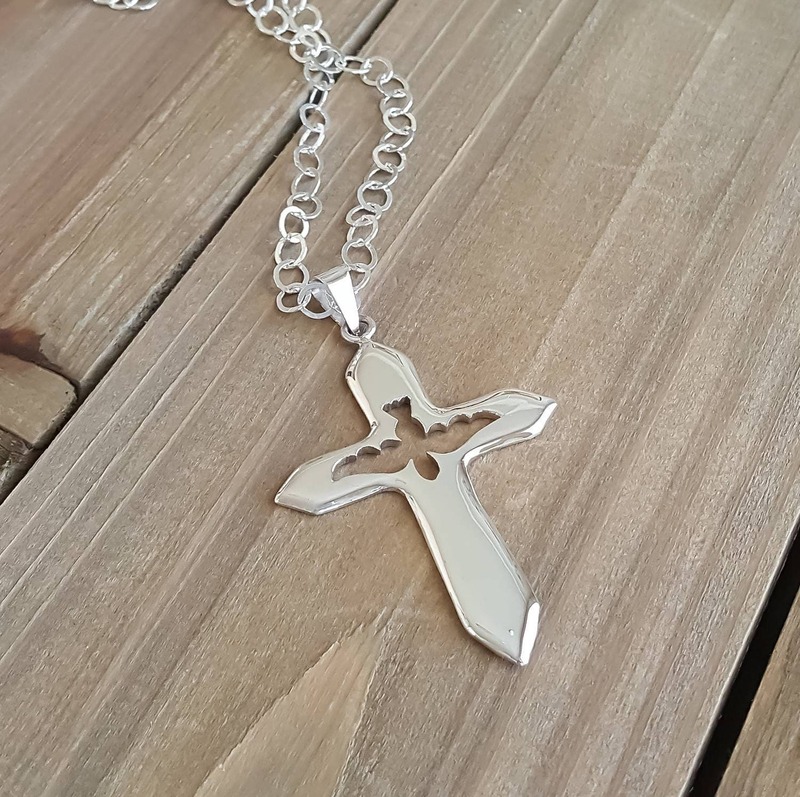 Sterling Silver Cross pendant with a beautiful dove design in the middle. Great symbols of faith. 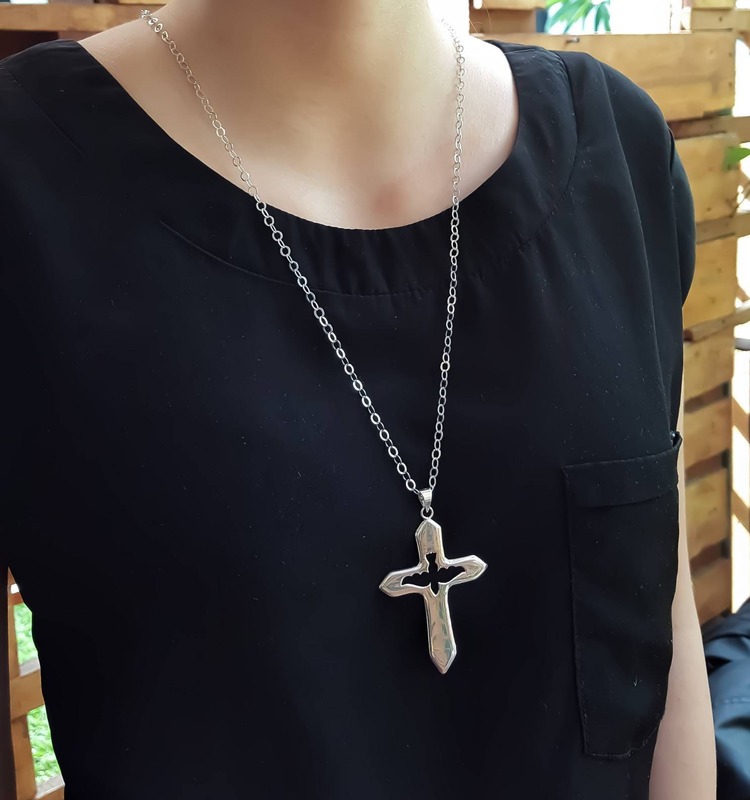 The Cross and Dove pendant comes with a single link chain which makes it adjustable and adds some bling as you move. 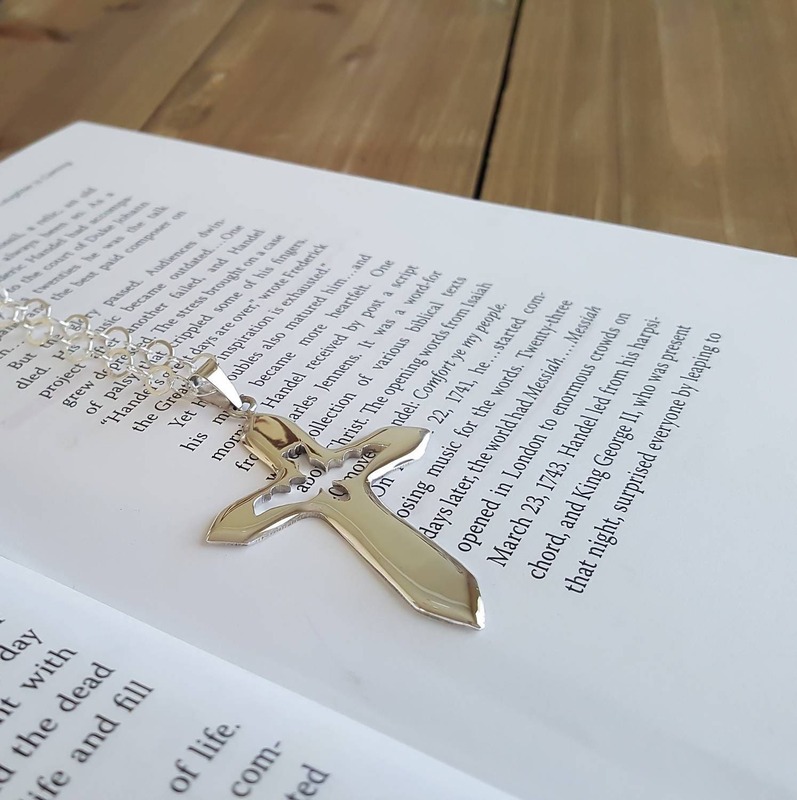 Confirmation and baptism gift idea. 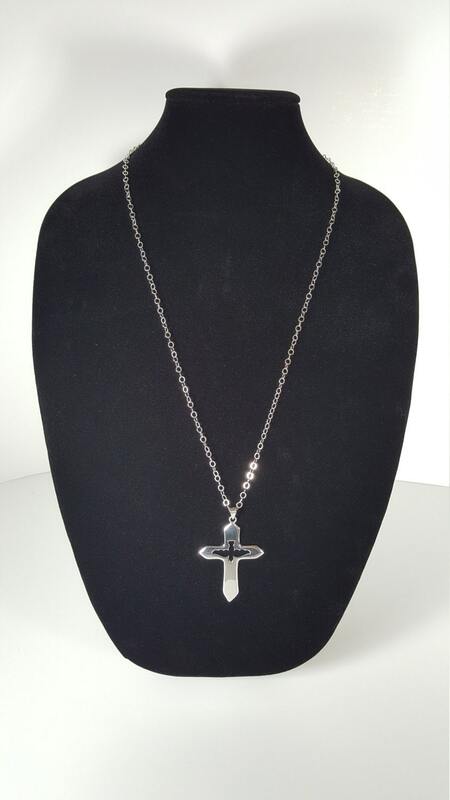 Individually handcrafted in solid Sterling Silver. We guarantee full satisfaction or full refund. Please check our return policies. To send you 3 times a year an update on my new jewelry pieces and special discounts.